Bright meeting room next to "Neuer Wall"
Our separate and generously-designed meeting room will win you over with its technical equipment and high-quality furniture along with more than enough space for your presentation materials. 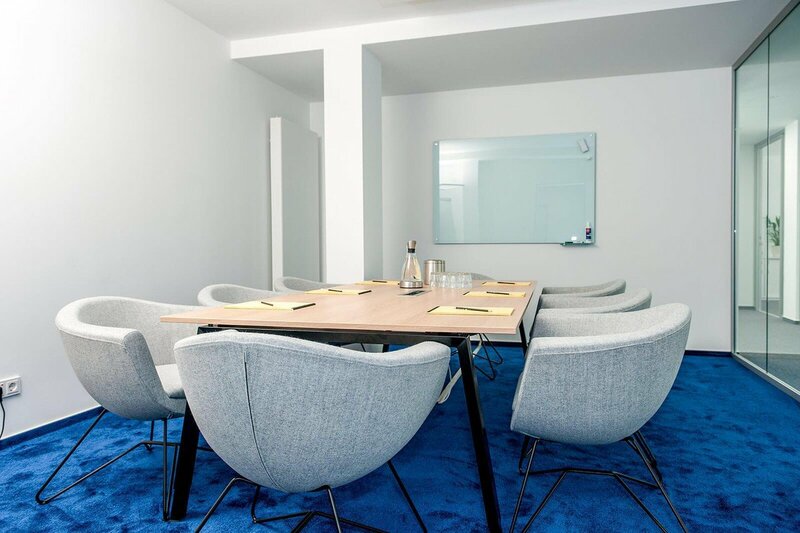 Optimize team-oriented processes, develop ideas and reach quick agreements - our meeting room provides the right setting for conversations of any kind! We assure that your meetings run smooth and effectively. Our technical equipment (projector, projector screen and flipchart), Wi-Fi and a beverage flatrate (coffee, tea, mineral water and beer) are already included into the price. 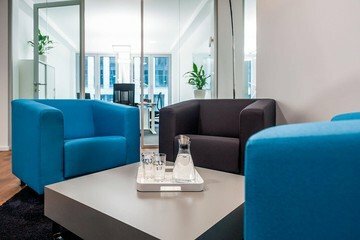 Our manager will meet you on-site, assist you with our technical equipment and welcome your guests or colleagues, when they arrive.